District Hardware and Bike is opening their new retail concept, which includes the Velo Café, at the Southwest Wharf this fall. We are looking for dedicated and customer-focused individuals to form a close-knit team. Since 1971, Distruct Hardware and Bike has been a staple in the DC community. 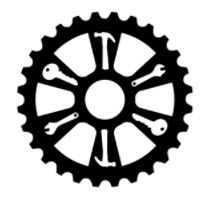 Independently owned and operated by the Conway family, they have provided the DC area with amazing customer service, alomg with the highest quality bike and hardware products for their guests everyday needs. Our mission is to provide a unique retail space that maintains a community-centric, family-friendly environment with access to top quality food and beverage, expert bicycle service and sales, and an urban-minded assortment of hardware and home goods. Great People - An awesome team who treats you like family. Open Communication - You have ideas. We want to hear them. Industry Perks - Incentive programs. Free coffee everyday. Discount on food, bikes, equipment, apparel, and other retail. Assistant Café Managers - Previous food and beverage/hospitality management highly preferred. Baristas - Previous café experience required. Bicycle Technicians - Previous mechanical experience required. Hardware Managers - Previous retail management esperience required. Hardware Department Specialist (paint, marine, garden) - previous experience in direct department required. NOW IT'S TIME FOR OUR FAMILY TO GROW EVEN MORE!! Send us your resume and cover letter today, along with you salary requirements, work schedule availability, and which positions you are interested. If you are interested in more than one department, please let us know. We have full time and part time positions available. Email us at INFO@DISTRICTHARDWARE.COM or apply online at WWW.DISTRICTHARDWARE.COM/CAREERS.